If you are an avid knitter, then you will be looking for the best circular knitting needles that you can get. At some stage or another, you are going to need them. Circular knitting needles are fun to work with. They allow you to make many things, including sweaters without seams, socks, hats and bags. Circular knitting needles are made just like normal straight knitting needles, including bamboo, metal, resin and plastic, but the two hard tips are joined up by a flexible cord that will hold most of your stitches. Circular needles can be permanently fixed to the cord, or they can be purchased as part of an interchangeable system, where the tips can be taken off of the cord and exchanged for larger or smaller needles. Circular needles can commonly be found in all the US sizes up to 15. Instead of driving around shopping, why not just purchase them online. There are a great many to pick from, and you won’t need to drive anywhere. 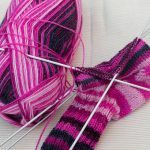 I have put some great examples of circular knitting needles for you to check out at the bottom of this article. If you want to find out more about any of them, simply click on the picture that interests you. Why Do Knitters Use Circular Knitting Needles? Using circular knitting needles allows the knitter to create tubes of knitting with ease. 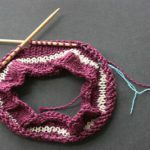 Some knitters also prefer to use circular knitting needles for flat knitting, as they just work without joining the round. Circular needles can also be used to create patterns for your knitting, for example, cabling or lace. Circular knitting needles come in many different lengths, and the more stitches you need to knit with, the longer the needle you will need. If your tube comes to a point and is too small to be worked on circular knitting needles, you will need to transfer the work onto double pointed needles. When you are working with circular needles, the right side will always be facing you, so you will knit all the rows if you are working in Stocking Stitch. To do Garter Stitch, you will need to knit one row and Purl one row, and for reverse Stockinette, you would need to purl every row. 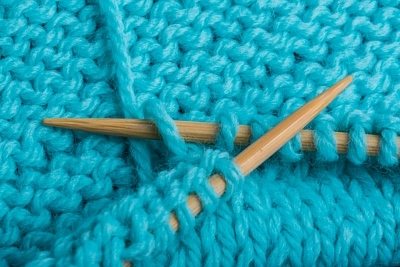 If knitting something big like a blanket or throw, you can also knit flat with circular knitting needles, and it helps because you can hold more stitches on the row than conventional knitting needles. Here is a video explaining how to knit and work with circular knitting needles. Here are some great buys from Amazon. Click on the photo of the knitting needle you are interested in to find out more. Trust that you will find the best circular knitting needles for your needs. Love your website. In particular, this post about circular needles. I love using the circular needles not only for in the round, but for flat as well. The only problem I have is that the circular needles don’t have the size on them like regular needles do. So I really like the Tinksky 11 piece set with the case. I will be looking into these. Thanks for this post. My Mom and Gran also used to knit for us, and you are right, there is nothing quite like that hand knitted garment. I’ve used circular knitting needles in the past, but I’ve always found it annoying to have to switch to double pointed right at the end of my knitting. Shouldn’t I just use double pointed needles for the entire piece? Are circular needles better in some way? Also, what is the difference between the different types of material (bamboo, metal)? I also prefer knitting with straight needles, but for some larger projects, you can’t beat circular knitting needles. As for the materials that the needles are made of, it is a personal preference. I like bamboo because they are so light.